What is a network-independent mobile application? NoSQL database company Couchbase has released a mobile suite of products rather impetuously dubbed Couchbase Mobile. This developer-centric play is intended to eliminate network connection as a limitation by giving developers “productised mobile data synchronisation”, as they say. NOTE: Couchbase is the only native embedded NoSQL mobile database. Company CEO Bob Wiederhold says his team tried to reimagine how mobile applications should be built. Until now he says, mobile applications were built with the requirement that data must be stored in the cloud because it has been too hard to store and sync data from the device. “Couchbase Mobile changes all that. Our mobile products give developers everything they need to build always-available and always-responsive applications in a fraction of the time it currently takes. 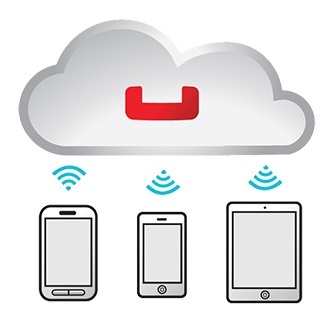 With Couchbase Mobile, the network no longer impacts application performance. When the network is unavailable, the app just works,” he said. This then encapsulates the firm’s vision of a network-independent mobile application. • additionally, no productised solution has existed for the synchronisation of unstructured data that is shared between the cloud and the device. Couchbase Mobile includes three components: Couchbase Lite, Couchbase Sync Gateway and Couchbase Server.